Torrey is eight miles from Capitol Reef National Park’s west entrance. Located at an elevation of 6,800 feet, Torrey offers tourists pleasant summer weather, proximity to canyons, trails and parks, and wholesome small-town fun. The annual Cowboy Music and Poetry Festival and the Big Apple Outdoor Dance Hall are just two of the reasons tourists are attracted to Torrey’s tree-lined streets. With restaurants, a bookstore and café, two art galleries, a general store, gift shops, RV campground and lodging options, Torrey is a convenient gateway town to exploring Capitol Reef Country. Travelers use Torrey as a base camp for exploring rugged Capitol Reef National Park, discovering the red sandstone canyons and aspen forests of Thousand Lake Mountain, and hiking and fishing at Boulder Mountain, located just minutes away. Torrey is also an excellent access point for Utah’s Scenic Byway 12. Thanks in part to the efforts of the Entrada Institute, a non-profit organization that promotes and preserves the natural, historical and cultural heritage in the region, Torrey has become known as “the biggest little city in Wayne County.” This small town, population 171, even has three denominations of churches. Torrey has always attracted famous visitors, including Major John Wesley Powell, Butch Cassidy, Zane Grey and Maynard Dixon. Originally settled by Mormon pioneers in the 1880s and called Youngstown, the town was renamed when it got a post office, in honor of Wyoming legislator and Rough Rider Colonel Jay L. Torrey. Today visitors to Torrey can experience pioneer history up close by staying overnight in the renovated 1914 historic brick schoolhouse. 435-425-3866, FAX 435-425-2150, 877 North Hwy 24, Torrey, UT 84775. Open year round. 40 rooms, Meeting facilities, free breakfast bar, breathtaking mountain views, fitness room. Fully equipped rooms, ESPN, HBO, pet rooms. 3 miles from Capitol Reef National Park. Travel Center on site with convenience store, deli, gas/diesel. 800-863-3288, 435-425-3335, fax 435- 425-3434, 12 West Main, Box 750180, Torrey, UT 84775. Open Mar -Nov. 24 rooms. AAA, newly built, immaculate large rooms, digital, color, remote, 25” TV, dial phones, individual heat/ac. Beautiful pool & spa. Quiet, safe. Bakery, Deli, Laundromat. We have 52 newly remodeled spacious rooms with free wi-fi and direct TV. A comnet tower provides cell service to anyone no matter who your provider is. Most of our rooms have microwaves and fridges. We welcome bus groups, motorcycle groups, and family reunions. For your convenience we have a gift shop, on-site steakhouse, indoor swimming pool and hot tub, full service beauty salon, and conference center with kitchen. Come and enjoy some good old fashioned cowboy hospitality and let the Broken Spur Inn be your home away from home. 435-425-3271, 360 West Main Street, Box 750100, Torrey, UT 84775. Open Apr-Oct, 10 large, quiet, sunny rooms with hand-made furniture and Southwestern decor. Enjoy our cafe, Jacuzzi, satellite movies, refrigerator, phones in-room. wifi in restaurant. Open year round, Capitol Reef Resort offers an abundance of luxury lodging and glamping options that include beautifully appointed guestrooms, luxury cabins, Conestoga wagons and teepees. Guided horseback tours, free WiFi, pool & hot tub, and an on-site restaurant are just a few of the fine amenities available to guests. 888-425-3113, 435-425-3111, fax 435- 425-3112, 825 East Hwy 24, Box 750360, Torrey, UT 84775. Open year round, 39 rooms. Indoor pool and hot tub, free wifi,coffee makers and hair dryers in rooms free continental breakfast, HBO, ESPN, indoor hallway, two suites. New affordable rooms. 4 units 1 with a kitchenette. Pet friendly. Quiet, remote location. 435-425-3688, fax 435-425-3689, 670 East Hwy 24, Torrey, UT 84775. Open from March-November, 35 rooms. free continental breakfast, indoor pool & spa, meeting room, pet rooms, outside dog kennels. 5 miles from Capitol Reef National Park. Friendly, dependable service. 888-447-4676, 435-425-3398, fax 435- 425-3378, 2523 East Hwy 24,Box 339, Torrey, UT 84775. Open Mar-Dec. A taste of the old West. Closest motel to Capitol Reef National Park, panoramic views. Newly remodeled rooms. One-time pet fee of $10. Continental breakfast, Iinternet access. 435-425-3222, phone & fax. 950 East Hwy 24, Box 750220, Torrey, UT 84775. www.skyridgeinn.com. Open year round. On 75 acres with unparalleled views. Six distinctive guest rooms, two with private hot tubs. Elegant full breakfast and evening hours d oeuvres included. **** AAA rating. 435-425-3401. On scenic Hwy 12. Box 750274,Torrey, UT 84775. Open all year. 3 deluxe suites in Main House with breakfast. Private and secluded.. 2-room Cottage with kitchenette.,.Luxury Condo with kitchen, washer and dryer. Free in room coffee, tea and chocolate. phones, satelite TVs, VCRs, heat & air conditioning. Beautiful gardens and views. Where Capitol Reef meets Comfort! Renovated pioneer schoolhouse with ten elegant, comfortable suites feature spectacular views, delicious hot breakfasts, and Sharper Image rolling-action massage-recliners in every suite! Open April through October. Luxury accommodations, secluded, great views. 800-863-3288, 435-425-3335, fax 435- 425-3434, 12 West Main, Box 750180, Torrey, UT 84775. Open Mar -Nov. 24 rooms. AAA, newly built cabins, immaculate large rooms, digital, color, remote, 25” TV, dial phones, individual heat/ac. Beautiful pool & spa. Quiet, safe. Bakery, Deli, Laundromat. ATM. 435-425-3414 Luxury cabins with private baths, fully equipped kitchenettes, queen beds, satellite TV, A/C. Horse stalls available. Spectacular sunrises and sunsets. Western hospitality at its best. Open all year. 800-355-8995, 435-425-3500, fax 435-425-3510. 1050 West Hwy 24, Box 750070, Torrey, UT 84775. Open Apr 1st-Oct 25. Log cabins, 5 camping cabins with 2 double beds. 2 deluxe cabins with queen, double & twin beds, refrigerator, microwave, private bathroom. 27 foot RV unit w/full kitchen. Swimming pool, western dinner cookouts. 435-425-3716, fax 435-425-3917. 75 West Main, Box 750171, Torrey, UT 84775. Largest gift shop in area – Southwestern gifts & souvenirs, T-shirts, Indian jewelry and pottery. Children’s area. Pets allowed. Fully furnished cabins with two full size beds, TV & heat, men’s & women’s toilets and showers, laundry room. Open year round. Open Apr – Oct. RV spaces with full hook-ups, spacious grassy campsites with windbreaks for tenters, firepits, picnic tables, clean well-lit showers & restrooms, laundry facility, gift shop, espresso bar. 12 full hook-ups, 12 tent spaces. $10-18, cabins. 26 Single family sites, 5 multiple family sites with tables, grills, and fire rings. 2 reservable group sites, 3 accessible flush toilets and 1 RV dump station. Concessionaire operated. 435-425-3500, FAX 425-3844. Open Apr-Oct. 22-acre park – trees & grass. Pool, pavilion, full hook-up pull thru’s Western Dinners, 4WD rentals, cabins, Mini-mart, salon, laundromat, Good SAM, AAA, ADAC, dumping facility. 435-425-3665. Open Apr-Oct. 33 spaces back-in/pull through with full hook-ups, 30/50 amp, free cable TV, and wi-fi. Cleanest showers and restrooms in the area. Laundromat Basketball Court, pavillion, fire pits, horseshoes, and croquet. Camping and Rv supplies available at the office. Camp Cabins and refurbished Sheep Camp for rent. 1 hour, 2 hour, 1/2 & full day rides in Capitol Reef, Boulder Mountain, & Thousand Lakes Mountain. Over night & custom pack trips offeres spring, summer, and fall. Guided Fly Fishing trips on public or private water including Fremont River & Boulder Mountain lakes. Full & half day packages. Use our equipment or bring your own. Stock up in our Fly shop. (rods, reels, flys, line, accessories). Interpretive 4×4 tours in Capitol Reef National Park, Escalante Grand Staircas, & the Aquarius Plateau of Boulder Mountain. Professional & knowledgable guides introduce you to incredible scenery, wildlife, & archeological sites. We do the driving! Lunch included. Aquarius Plateau wildlife tour offers opportunities to view Elk, Deer, Antelpe, Bald & Golden Eagles, & more, plus scenery. Guided day hikes & custom backpacking trips in all of souther Utah. Complete outfitting service, custom itineraries, & professional guide service. 435-425-3500, 800-355-8995, 1050 West Highway 24, Torrey, UT 84775. Located at Thousand Lakes RV Park. Specializing in self guided tours of Cathedral Valley. 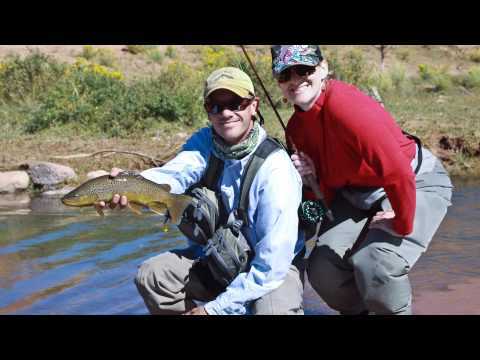 Experienced fly-fishing guides offering quality fly-fishing excursions on all streams and lakes of the Boulder Mountains, Fremont River drainage, Fishlake Mountain and Thousand Lakes Mountain. Small to large corporate groups for the neophyte or discriminating flyfisher. Jeep Tours, ATV tours, and retail store. 800-332-2696, Vehicle, horseback and hiking tours Daily & multi-day. Capitol Reef NP, Grand Staircase/Escalante NM and beyond. Since 1975. 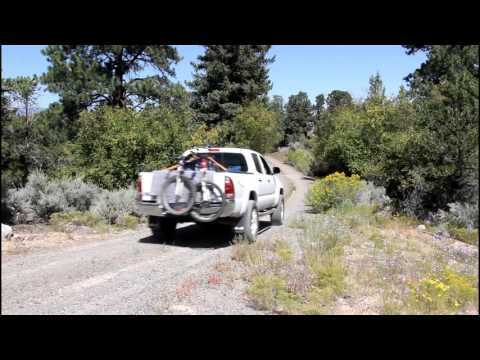 Shuttle services for hikers, bikers and hunters. “Exploring Back of Beyond in Southern Utah,” we offer guided hikes, vehicle tours, shuttles, group tours, and overnight trips into the spectacular backcountry landscapes here. Experience the best parts of Capitol Reef with knowledgeable guides who are passionate about both the place as well as introducing it to our guests. Join us to discover secret waterfalls, soaring desert vistas, labyrinthine red rock canyons, fascinating ancient petroglyph panels carved into stone. Choose from a specific set of adventures, or we can custom tailor a trip to you specifications. Our guides take pride in their deep love knowledge of the area, and of being able to show you the best spots for incredible views and photos. Delicious lunches included. Capitol Reef, Grand Staircase-Escalante, Aquarius Plateau, and beyond. Visit our website for trip details, photos, guest testimonials, and special deals. A fine selection of hot or cold sandwiches, wraps, Mexican and daily specials. Quality meats and cheeses cut to your specification. Homemade salads. Summer hours: 7:00 am 8:00 pm. Come and enjoy some great food and some good old fashioned cowboy hospitality at the Broken Spur Steakhouse. We are open for breakfast from 7-11am and for dinner from 5-9:30pm. We are also available for group luncheons upon request and we offer box lunches for those who are on the go all day. Our menu includes steak,chicken, salmon, vegetarian, and a kids menu. Drop on by or give us a call and we can have a table ready. Open Apr – Oct. Breakfast, lunch and dinner, wine & beer available. Fresh, natural, local foods deliciously cooked to your satisfaction. Healthy meals — lots of fresh vegetables, local fresh trout, stir-fry, steaks and ribs, chef’s special every night, brown rice, whole wheat rolls, no additives or preservatives. Open 7:00am daily. Specialty coffees. Smoothies. Enjoy a fresh, memorable drink hot or cold. Hand-made candies. Fresh baked bagels, muffins & scones Breakfast and Lunch menu available daily. Aunthentic Flavors of Mexico brought to Southern Utah. Homemade and Fresh off the Grill! Located inside Capitol Reef Resort. Open for breakfast 7am-10am. Open for dinner 5pm-9pm. Open 7 days a week all year. Pizza, burgers, ice cream, shakes, sundaes, and more! Great food. Full service bar. Outdoor dutch oven cookouts and catering. Open all year. Pizza, pasta, sandwiches, ice cream, beer. Indoor/outdoor seating. Fabulous views. Horseshoes, disc golf, live music. Where the locals go. Open Mar – Dec. Liquor, beer, wine available. A taste of the Old West; affordable food and fun with unforgettable 360 degree views of Capitol Reef. Certified Black Angus beef. Comfort foods, great veggies, healthy meals professionally prepared to order. Live music on weekends. Open daily Mar – Oct. Recoginized by Salt Lake Magazine “Top 75 Burgers in Utah” Gourmet burgers and sandwiches, shakes and malts, playground, indoor and outdoor seating, and free wi-fi. Check our facebook page for our daily specials. Open year round, 9 a.m. – 10 p.m. Offers subs, 3 foot and 6 foot sandwiches. Sack lunches for buses. ATM on the premises. Full Bar, Live music with dance floor. Three course steakhouse. Pool tables and dart lanes. Cowboy apparel and accessories available for purchase at our on premise Cowboy shop. Open Fridays and Saturdays. fax 435-425-3112, Phillips 66 gas, diesel fuel, groceries, ice and beer. Subway Restaurant and ATM on the premises. User-friendly, super easy access. 6 bays, credit card reader dispensers, fountain drinks, beer, cigarettes, breakfast items, automotive supplies. Open year round. Auto-Truck-RV Repair. Tires, Batteries, Brakes, A/C, Furnaces, Fridges, Welding, Electrical, Plumbing, Auto Glass, Rock Chip Repairs. fax 435-425-3196. Located at Thousand Lake RV Park, Open April 1 – October 25. Full-service hair care for men, women and children, perms, color, weaves. Men, Women and Children’s haircuts, colors, nails, and facial waxing. Full service salon, hair cuts, color, perms, waxing, nails. Located at the Chuck Wagon General Store. FAX 425-3434, Full grocery selection, fresh produce, meat and imported sausage and cheese, fruit, film ice, sporting goods, camping supplies, souvenirs, T-shirts, snack bar, bakery and Deli. Therapeutic massage, Deep tissue therapy, hot stones. By appointment only. Nationally certified licensed massage therapist offering Swedish massage, Reflexology, Injury Massage, Deep tissue and Cranial Sacral Therapy. Out calls also available. Torrey – 435-491-0999, Salt Lake City – 801-557-8188. bonnie_kaufman@hotmail.com 22 years selling in Wayne County, Utah. Professional services in Torrey, Teasdale, Bicknell, Loa, Lyman and Grover. Specializing in rural real estate – unique parcels of land, ranches, building lots and quality homes in the Torrey, Teasdale, Grover, Bicknell, Loa, Fremont and Boulder areas. Established in Torrey in 1980. Locally owned and operated. 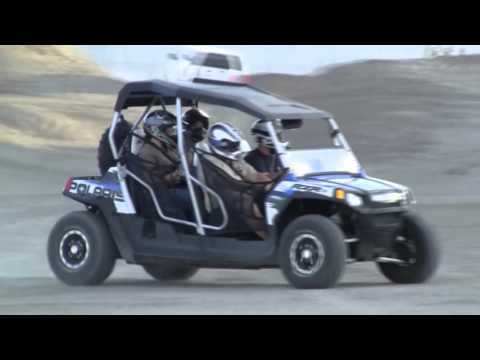 ATV and UTV (6 person side by side Ranger Crew) rentals on a half, full or multi-day basis. Trail access direct from shop. Helmets Included. Half, full, & multi-day mountain bike rentals. New front or full suspension “Rociky Mountain” bikes. 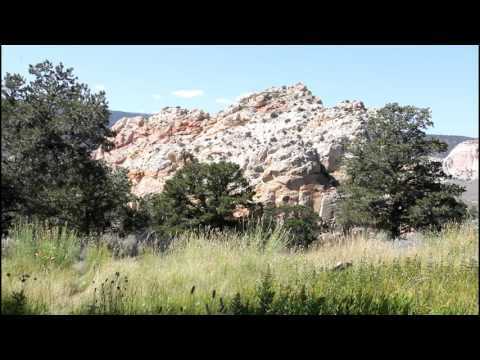 Custom guided bike trips in Capitol Reef & surrounding areas. 435-425-3500 Jeep/ 4wheel drive rentals. day rental includes 150 free miles. Discounts given for multi-day rental. fax 425-3112 Phillips 66 gas, diesel fuel, groceries, ice and beer, Subway Restaurant and ATM machine. Fountain drinks, beer, cigarettes, breakfast items, automotive supplies. Open year round. Open April – October. Groceries, snacks, ice beer, RV Supplies, resort wear and fine jewelry. 435-425-3288, Large selection of dvds and videos, including most popular and recent runs.